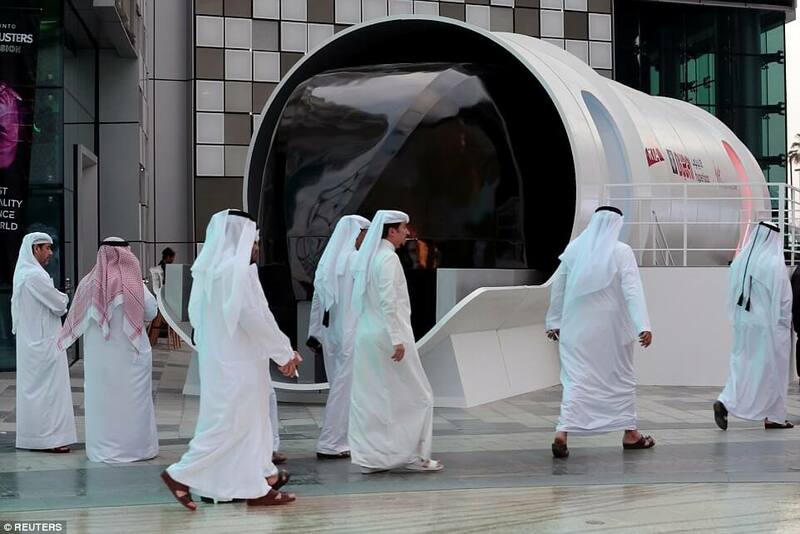 The CEO of Virgin Hyperoop One visited a week of innovation in the United Arab Emirates, where he demonstrated a full-size model of the passenger capsule of the future transport system. Last year, the company tested a prototype of a passenger capsule, but since then it has undergone significant changes. Last year’s prototype was accelerated on the test track to a speed of 387 kilometers per hour, but its interior decoration was much more ascetic compared to the new model brought to Dubai. 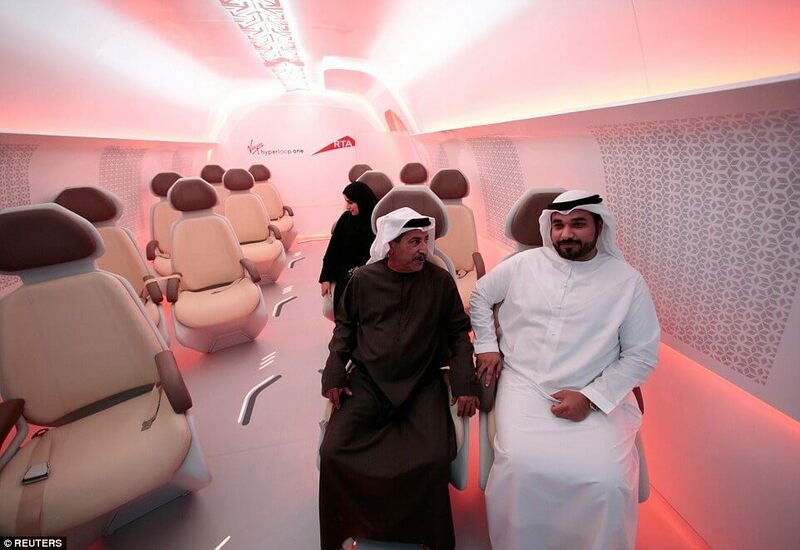 The sample is a large capsule in which passengers can stand in full growth. Armchairs are equipped with armrests with built-in touch displays. Between the seats there is enough space not only for the legs, but also for luggage. Due to the fact that the transport system Hyperloop will significantly reduce travel time, the designers decided to pay more attention to the comfort of each passenger. Initially, the company introduced a route between Dubai and Abu Dhabi to the authorities, but last year it was proposed to increase the transport network by connecting several large cities. 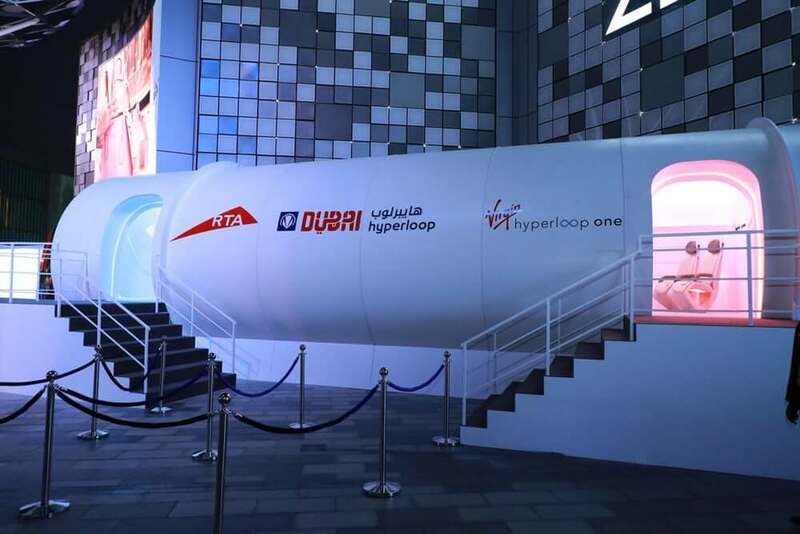 “This will help reduce the time of travel and delivery of goods to the cities and surrounding areas, which will obviously have a significant impact on the economic development of the region,” said Rob Lloyd, CEO of Virgin Hyperloop One. The proposal, voiced by VHO representatives in Dubai, does not oblige the parties, but if local authorities express a desire to participate in the project, they will probably have to stand in line for India – the owner of VHO Richard Branson promised to build the operating line in seven years. You can enjoy the success of Hyperloop not only in the comments, but also in our telegram chat, which we recently launched.